Until 2001, the name Helon Habila meant nothing to us. He was as unknown as the average Nigerian writer clawing his way to fame in a cruel, writer-unfriendly environment like Nigeria, what with her decaying publishing industry, inhuman economy, insecurity, bad leadership, pathological quest for materialism, etc, etc. Today, Helon Habila needs no introductions not even in a gathering of writers. His now-familiar face has long been splashed on our national dailies and even on the Internet! He is a powerful force to be reckoned with in any meaningful stock-taking of important new generation writers of Nigeria, nay, Africa. He belongs to this misbegotten generation of writers euphemistically referred to as the angry and impatient generation, reminiscent of English Angry Young Men started by John Osborn’s great play Look Back in Anger. Of course, beset with seemingly endless problems of their times, these young Nigerian writers have every reason to be angry if not violent but their impatient to get published at costs irrespective of the quality has given cause for a great concern. It is only in this generation that people who cannot construct a simple grammatically correct sentence take the daredevil plunge to become writers! Fortunately, one breathes a sigh of relief to see the likes of Habila, Maik, Raji, Adichie, Ndibe, Okekwe, etc make the skeptics of this generation swallow their hasty prophecies of doom for Nigerian literature. In a generation where everybody seems to be infected by the hurry-hurry bug of our unfortunate times, these few writers are bent to keep up the standards set by the older writers such as Achebe, Soyinka and Clark, to mention just three of the most prominent. They have been patient enough to hone their skills by reading the great works of the old masters of literature. This brave patience to read and practise long enough before publishing is what most of the writers of this generation lamentably lack in a large quantum. After all, a scholar once said that he who casts to write a living line must sweat! Unfortunately, this lazy generation does not want to sweat at all… no, it is not the suffering type like our secondary school students who would do anything to pass their examinations! They want manna to fall from heaven in their examination-halls even if it means beating up their “colonial” teachers who refuse to help them! The result of this lack of patience and perseverance on the part of the hacks who pass themselves as writers in this unlucky generation is the bumper harvest of unreadable works of art that are far, far beneath their readers. Luckily, the star-studded success story of Habila should, if anything, serve as a very strong lesson to any writer who aspires to be read beyond the shores of his country. 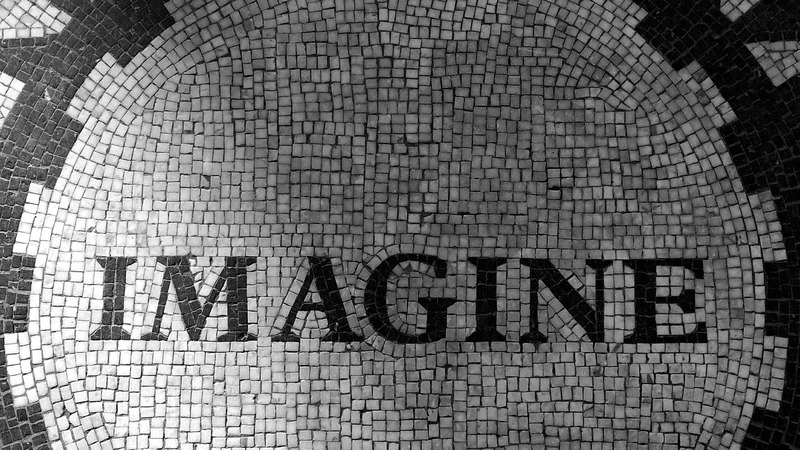 For every true writer’s dream is not only fame but immortality – the dream to be read several centuries like Sophocle, Euripides, Shakespeare and a host of others, after the soul is shorn of the mortal coil called flesh. 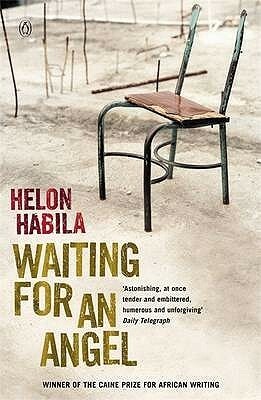 Helon Habila started writing seriously as a student of English literature at the University of Jos, Jos, Plateau State. His religious dedication to the creative Muse brought him close to Toni Kan of Ballad of Rage fame (NLNG Shortlist for Prose Fiction 2004) and the third odd man of the group, David Njoku, then a student of Accounting who has a passion for writing. As University undergraduates, their fanatical love for literature endeared them to their lecturers such as Obiwu who, in his poetry collection Rituals of the Sun, referred to Habila and Kan as his “literary soul-mates” in his acknowledgments. While at the University, Njoku and Kan went abroad on two various occasions for their short writings. Habila, on the other hand, was lucky to have his collection of short stories Embrace of a Snake recommended for his course-mates on which he was examined! A feat only a few writers can boast of in their lifetimes. The trio left their imprints in all the relevant literary associations on campus – Literary Circle of the Department of English and Writers’ League of the Faculty of Law, UniJos. Their writings dominated the literary magazine “On the Level” of the latter. And quite unlike most University student-writers, their interest in writing refused to wane on graduation but instead waxed stronger by the day. A year later, Njoku and Kan found themselves on the staff of the soft-sell romance magazine Hints while their Northern soul-brother Habila dialogued with the chalk sulkily as a Polytechnic lecturer. According to him, he never felt fulfilled as a lecturer in Bauchi State because his creative writing was suffering! He needed to be close to like minds where things were happening and also for cross-fertilization of ideas and challenges. And of course, he missed the friendship of his two friends. Kan had to come to his aid a few years later with an invitation to come over to Lagos and join the Hints family. This journey can be likened to Mohammed’s journey to the mountain for revelation! Happily, Habila resigned his appointment as a lecturer and made his way to Lagos State where he joined his two friends. Together, the trio ran the Hints magazine with emotional stories that healed the minds of many afflicted lovers in Nigeria. They were to re-enact their student-day lives in Lagos. These restless young men soon became a part and parcel of every great literary happening in Lagos. Bespectacled Njoku with his owlish face of a great thinker set the ball rolling by first clinching the maiden edition of the Liberty Merchant Bank Short Story Competition in 1998. A year later, Kan boasted that a Josite (a student or an alumnus or alumna of University of Jos) must win one of the prizes in the subsequent edition. That prophecy was to find fulfillment in Habila whose entry was among the short-listed three. The greater was destined to come with his poem the ”New Age” winning the MUSON Festival Poetry Competition in 2000. That year marked Habila’s first taste of literary recognition as the Poet Laureate of Lagos. The greatest followed in a quick succession. In 2001, he made history as the first Nigerian writer to win the second Michael Caine Prize for Short Fiction with his quintessential short story “Love Poems” in the self-published collection Prison Stories (2000). What especially gave this prize an added lustre was that he beat some important old names like Nuruddin Farah, etc. hands down. He wrote all his co-competitors to the ground! Since then he has engraved his name on the literary landscape of Africa and no meaningful discussion of modern African fiction is complete without a reference to Helon Habila. Little wonder then that his fans were not shocked when he emerged as the winner of the Commonwealth Prize for Fiction in 2003 with his Waiting for an Angel. Prison Stories is a very phenomenal collection of seven short stories intricately linked together but autonomous. Told in a memorable language, Habila explores diverse narrative techniques ranging from the third person narrative to the diary style; he uses language skillfully to paint a Third World country living under a military dictatorship. This naked fear that pervades the entire civil society makes everybody a prisoner even in his own house, what with the arbitrary arrest and detention without trial of those who dare voice out their opposition! Habila followed this up with his Waiting for Angel, which in many ways is a little patching-up of the former. We shall examine this novel with respect to its claim as a novel. We shall first observe the one or two little retouchings to Prison Stories to beget the novel version. Six out of the seven short stories are retained unaltered in the same order although under different sub-titles. The shortest 3-page story in the collection “The Iron Gate” is removed and replaced by a new 23-page short story under the sub-title “Alice” immediately after the story “About A Family” now re-titled “Bola”. An Afterword rounds off the stories – a brief history of Nigeria specially for the benefit of Western readers! The only new short-story addition deserves a word or two even in passing. “Alice” gets its name from the Alice in “Dispossessions” (now re-titled “James”, with Nkoyo replacing Alice) who is Lomba’s colleague at the newspaper house. This story takes us back to Lomba as a University student who fell in love with beautiful Alice, a course-mate. Sadly enough, their love was still at the embryonic stage before Lomba dropped out of school. Some years later, Lomba ran into her again at a hospital where her mother was critically ill with breast cancer. He asked for her hand in marriage but rather too late. She had already promised her car-owner boyfriend who single-handedly footed the hospital bill of her mother. It is obvious that Alice’s decision to marry her rich boyfriend was borne out of economic expediency other than true love. The beauty of this afterthought-story, like all of Habila’s stories in this collection miscalled a novel, is his characteristic narrative power. This time around, Lomba reminisces on his past with a masterful use of stream-of-consciousness to reveal his inner thoughts. Apart from this single point in favour of this story, “Alice” is no doubt a misnomer in the entire collection in terms of the verisimilitude of the story itself. Its melodramatic ending reminds the reader who is familiar with the kind of stuff in Hints magazine, that this is nothing but a replication of the unrealistic stories of Mills and Boon series meant for adolescents. Habila would have done better by discarding this story. However, should he be too eager to add something to Prison Stories to make it deserve a new title, one should have expected him to tie the loose strand of his Lomba’s story – for example, nothing is said about Shariman who “left him for someone else” (p. 187). At least, he should have brought her to life instead of the Alice story that the reader must swallow with a ton of salt! From the foregoing, it is too glaring that Habila did not do any special re-working on his Prison Stories but hurriedly re-packaged it under a different title as a novel. Thence comes the failure of Waiting for an Angel as a novel. Short stories, no matter how mystically re-arranged, cannot make a novel, except of course the writer does more than re-write the whole stories, otherwise there is bound to be so much looseness in the plot that will leave the reader unfulfilled. This is what Waiting for an Angel does to the reader. This looseness and lack of proper interconnectivity in the plot form the major inadequacy of the book as a novel. One notices the negative influence of the publishers that is always the bane of several great writers. After signing a two-book deal with Penguin Books, the pressure was so much on Habila to produce his first novel as short stories do not sell. The public wants to read a novel. To cash in on this and his fame, he had to churn out a novel. Habila is a conscientious writer who takes his time to pen even a line. The only resort was to rework a little on his stories, no matter how bad his name would sell it. The unfortunate outcome is Waiting for an Angel, which is not a novel but a collection of short stories hurriedly dressed in borrowed robes! It is the publishers’ fault and not that of Habila’s, as he is not yet experiencing a drought of ideas. Born in 1976, Isaac Attah Ogezi attended the University of Jos, Jos, Plateau State where he obtained his LL.B (Hons) in 2002. He proceeded to the Nigerian Law School, Abuja, and was called to the Nigerian Bar on 12 October, 2004. Currently, he is a practising lawyer based at Keffi, Nasarawa State of Nigeria. He is published in The Rocks Cry Out (an anthology of ANA, Jos Chapter, 2002), Five Hundred Nigerian Poets (2005) and several national dailies in Nigeria. He writes plays, poems, short stories and literary essays.